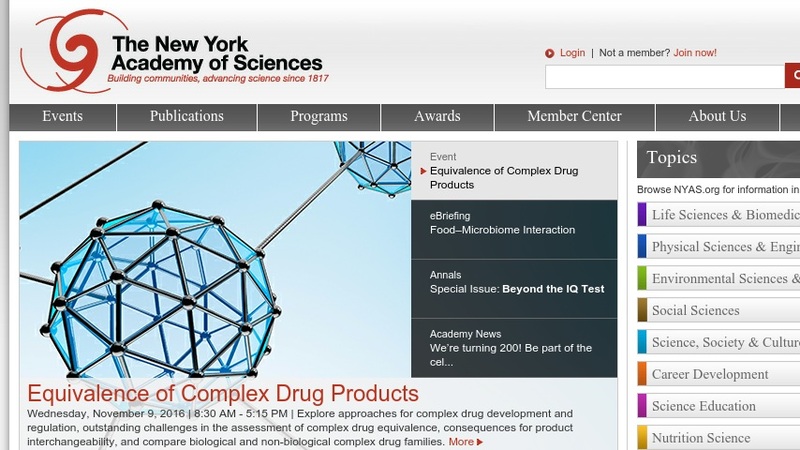 Started in 1817, the New York Academy of Sciences works to bring together a broad range of scientists with the hope that they will "advance the understanding of science, technology, and medicine, and to stimulate new ways to think about how their research is applied in society and the world." First-time visitors to the site will want to begin by perusing the "Academy Spotlight" site which offers some brief introductions to some of the Academy's latest research findings, such as those dealing with bio-threats and stem cells. The "Readers & Writers" section offers interviews and discussion with authors who have recently finished books on a variety of scientific topics, including the topics of artificial intelligence and the Big Bang. Also, the Gallery of Art & Science provides some visual insights into the intersection between the worlds of art and science through some creative online exhibits, such as those dealing with plastic surgery and the art of science fiction.